The air is redolent with love, love, love. Across the world artistes are dropping songs celebrating the love season – or the imagined love season, if you’re contrarian – called Valentine’s Day. February 14 is that day. With “One I Love” celebrated Tanzanian rapper Diamond Platnumz has joined the Valentine Day aria. “One I Love” featured King Tee Dee. Diamond Platnumz, celebrated at home and abroad, is in the vanguard of Tanzania’s bongo flava revolution. It is open to doubt the history of Tanzanian music would be complete without his name. The rapper, who recently featured on Rayvanny’s “Tetema” and Kizz Daniel’s “Tere,” has songs like “Jibebe” (featuring Mbosso and Lava Lava) and “Baila” (featuring Miri Ben Ari) to his credit. “One I Love” is King Tee Dee’s preliminary appearance on NaijaTurnUp. But it is an appearance well worth your time. The songster, who Sunboyhad featured on “Cherie Coco,” performed remarkably well here. If you are looking forward to a Valentine’s Day jam that will keep you and your loved one on your feet, you have got it in “One I Love.” You are welcome to have a wonderful time. 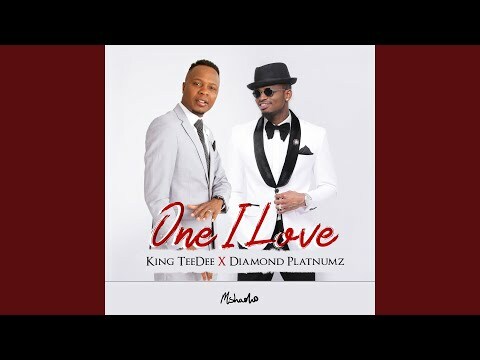 Stream and download “Diamond Platnumz – One I Love Ft. King Tee Dee” below, share on social media and join the conversation by dropping your thoughts in the comment section.